Recent technical advances in the transportation sector, such as anti-lock braking systems, lane divergence sensors, and especially the evolution in dash camera technology, have focused not only on enhancing the overall driving experience but also on making our roads safer than ever before. The benefits of dash camera implementation are immediately apparent as it creates enhanced personal drive training, potential loss mitigation/fraud reduction and overall safer driving. The technology is quickly moving from optional and into a trucking industry standard for benchmarking successful trucking companies. 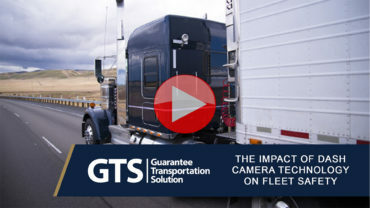 Learn More about The Guarantee’s Transportation Solution. The Guarantee Company of North America is a leader in specialty insurance and surety within the North American marketplace. We offer in-depth knowledge and expertise in niche segments, including the surety industry, corporate insurance, transportation industry, credit, and customized personal insurance. For more information, visit theguarantee.com.